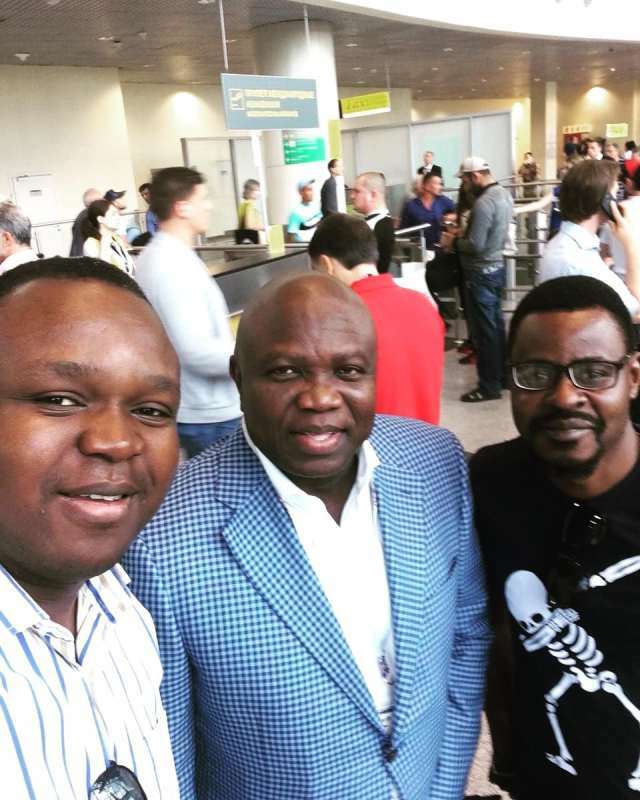 Lagos State Governor, Ambode Rescues 50 Nigerian Football Fans Stranded In Russia Lagos State Governor, Akinwunmi Ambode has rescued 50 Nigerian football fans, who were stranded in Moscow, Russia at the on-going 2018 FIFA World Cup. Before Ambode’s intervention, officials of Nigeria Football Federation (NFF) were aware that over 50 Nigerians were stranded, but could not come to their assistance. An eyewitness, Nnamdi Odimegwu disclosed this in a social media post noting that over 50 Nigerians found it difficult returning home because they did not have return air tickets. Odimegwu, however, said succour came their way when Ambode, who is a member of the federal government delegation to the 2018 FIFA World Cup, met them at the airport. According to him, this is not a political campaign for him, but just appreciating a good and kind gesture by one of our noble Politicians in Nigeria. “I had a pick-up arrangement today at the airport in Moscow and had a rare privilege of meeting the Governor of Lagos State, the most populous and commercial Hub of Nigeria. “I quickly introduced myself while I waited for my pick-up arrangement to come out. We had a small chat and exchanged knowledge and wisdom while I waited. “He bade me farewell as his pick-up arrangement had arrived. After a few minutes, my pick-up arrived as well. So, we set out to the car park. As soon as we came out of the airport, I saw a crowd of over 50 Nigerians who had been stranded at the airport for between 10 and 15 days now. In their middle was this same man, Ambode. As soon as he sighted me, he quickly called my attention to assist. It was a pathetic state and a lot of words both pleasant and unpleasant were being exchanged. “Then, Ambode did something that amazed me. He showed solidarity and quickly pledged to send all 50 stranded Nigerians home and assigned me to oversee the transfers and procurement of new tickets to send them home.” He confirmed that 19 out of this 50 “are already on air to Lagos Nigeria. The remaining 31 are leaving this evening. Ambode also fed them all as he gave them cash to eat while they waited for their tickets to fly home.